Exeter snooker player Dan Hine dominated proceedings at the first Exeter Bronze Waistcoat tournament of the season, defeating all comers without dropping a frame. The only hint of a defeat came in a close fought final of high standard in which Hine narrowly defeated reigning champion Adam Gallen, also from Exeter. Gallen looked ever bit the winner, building a lead with some excellent potting in the early stages. In the latter half of the game Hine had a spate of good fortune following a couple of rash shots that left difficult positions for Gallen to deal with. However, the final result was decided with Hine taking full advantage after a couple of uncharacteristic missed chances by Gallen. The semi-finals matched Hine against the improving 11 year old Michael Rogers from Taunton. Rogers, seem to tire as Hine’s relentless potting led the way to a 2-0 victory. A special award was presented to Rogers in recognition of his sporting attitude throughout last seasons tournaments. Gallen win in the other semi final was against Will Blackmore the current Exeter Under 16 Youth Champion. Group 1 was a breeze for Hine topping the group and making the best break of the day (41) against debutant Nathan Baker. Baker failed to win a game all day but showed great enthusiasm and never gave up. Jay Bullen, Exeter, the other debutant in this group gave second seed Gallen a close run only missing out of the second qualifying spot on points count back. If he can reproduce this form in future tournaments he is a contender for one of the group of players to represent Exeter in the grand finals at the end of the season. Matt Baker, Exeter opened his account in great style, out-potting group favourite Blackmore, to win his first match. This was to be Baker’s only win of the but he gave all the players much to think about with close finishes in every match. Blackmore rallied after this initial scare to win all his remaining matches. Rogers, not in great form but still did enough to qualify with Blackmore. 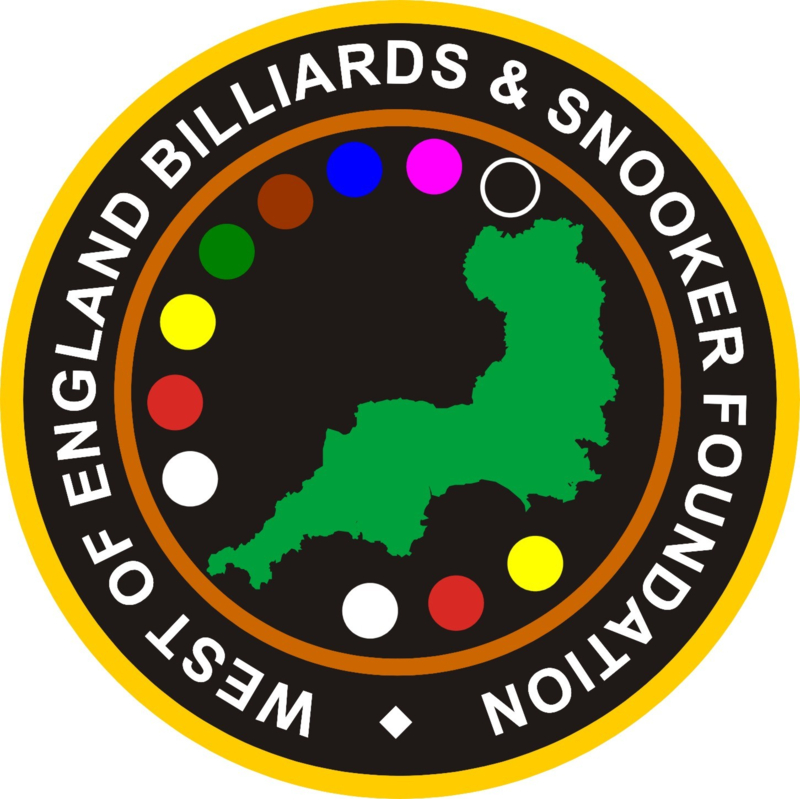 The age limit for this tournament has been increased to under 16 to help the West of England Billiards & Snooker Foundation’s bid for recognition from the sports governing bodies. Exeter snooker player Dan Hine followed-up last months victory with another emphatic win in round two of the West of England Billiards & Snooker Foundation, Exeter Bronze Waistcoat tournament. Hine for the second time in a row went through the field undefeated. The final proved to be a one sided affair with Hine recording breaks of 41 & 32 and Rogers failing to take his chances having run out of concentration. The semi final saw the fast improving Jay Bullen eventually run out of steam after an impressive show in the round robin stages, Bullen found Rogers too hot to handle losing 2-0. In the other semi final favourite Hine won through 2-1 but not before he was given a run for his money by Will Blackmore who’s dress code was worthy of a professional. The round robin stages were dominated by Hine and Bullen, both qualifying early with a string of wins. There wasn’t much to choose between the rest if the pack, Rogers just edge third place ahead of Blackmore in fourth. The surprise of the day was former Exeter champion Adam Gallen failing to qualify for the first time in this competition, this is testament to how the rest of the field is improving. The only hint of a defeat came in a close fought final of high standard in which Hine narrowly defeated reigning champion Adam Gallen, also from Exeter. Gallen looked ever bit the winner, building a lead with some excellent potting in the early stages. In the latter half of the game Hine had a spate of good fortune following a couple of rash shots that left difficult positions for Gallen to deal with. However, the final result was decided with Hine taking full advantage after a couple of uncharacteristic missed chances by Gallen. Dan Hine notched up his forty first consecutive win in the latest West of England Billiards & Snooker Foundation, Exeter Bronze Waistcoat tournament. After ploughing through the qualifying rounds undefeated Hine was matched against the much younger Michael Rogers from Taunton for the second final in a row. Rogers got a little closer to winning frame this time but Hine proved too strong when it came to clearing the colours, may be third time? In the semi finals Michael Rogers just held off an out-of- form Jay Bullen 2-1 in hard fought match of missed chances on both sides. The other semi final favourite Hine defeated Adam Gallen 2-0, A critical point in the match came when Gallen failed to capitalise on two frame winning chances in a high scoring second frame, at a rare moment when Hine was showing signs of pressure. The round robin stages were dominated by the finalists with Hine topping the group and Rogers a close second. Hine potted freely on his way to a clean sweep whilst Rogers only lost the one match, against Hine. Gallen and Bullen where the other two that qualified for the knock-out stages. In addition to the main tournament a plate competition was run which was won by Gallen. Will Blackmore fought hard to overcome his fellow team mate and adversary on the snooker table but eventually lost 2-1. The tournament was once again sponsored by GWRSA (South). Tournament Director Mel Berry, Tournament Director and club representative said “Another good performance all round, especially from Hine, who did show signs in the semi final that he was feeling the pressure! This might just spur the others to try a little harder.” Next round scheduled for the 27th January 2007. Dan Hine has won the fourth consecutive event of six in the Exeter West of England Billiards & Snooker Foundation. Hine for the 4th event in a row went undefeated increasing his lead at the top of the Exeter rankings. The final was a repeat of the last event with the runner-up being Michael Rogers from Taunton. Rogers put up a good show in the first frame but once again ran out of steam against the older and more experience Hine. Hine is to try his hand in the Silver Waistcoat Tournament pitting his wits against the best under 21’s in the region. The semi finals saw Hine win two close frames to beat Adam Gallen both players notching up 20 plus breaks. In the other semi final, relative newcomer to the tournament, Jay Bullen just lost to Rogers 2-1 in another close match. The round robin stage was topped by Hine followed by a three way tie for second place. After a count-back of points scored, Bullen secured second spot, Gallen third and Rogers fourth. Several small breaks were made on the day the best a 27 clearance by Gallen. As each tournament is played it is evident that the standard of play is gradually improving. In addition to the main tournament a plate competition was run which was between Matt Baker and Will Blackmore which Blackmore won. The tournament was sponsored by GWRSA (South). Tournament Director Mel Berry, Tournament Director and club representative said “Another good performance all round, it will be interesting to see how Dan Hine measures up in the Silver Waistcoat. Whatever the result it will be good experience for him.” Next round scheduled for the 24th February 2007. Dan Hine has won the 2007 Exeter West of England Billiards & Snooker Foundation, Bonze Waistcoat Tournament with one event still to go. However, his unbeaten run of 52 matches was ended by Michael Rogers of Taunton in the last of the round robin matches. Rogers, like others have come close to beating Hine on previous occasions but they could never push home their advantage. After building up a lead with some fine potting by Rogers Hine was left needing snookers. After a gallant effort by Hine, Rogers cleared to win. In the final it was business as usual for Hine as he edged out Rogers aided with break of 30 in a close match. Rogers showed continued signs of improvement with good potting and clever safety play, at just 12 years old he is surely one to watch for the future. In the semi finals Adam Gallen found the going tough losing 2-0 to Hine. Will Blackmore produced some good form to reach the semis before losing to Rogers 2-1 in a tight match. In the round robin stage Hine topped the group with one loss and a narrow black ball victory over the improving Jay Bullen. Second, third & fourth place qualifiers where not known until the final match was completed. The tournament was sponsored by GWRSA (South). Mel Berry, Tournament Director and club representative said “With the rest of the field all showing improvement as a result of coaching it was on the cards Dan’s unbeaten run was at risk.” The final round scheduled for the 24th March 2007. Adam Gallen returned to form taking the final Exeter Bronze Waistcoat event of the season. All season Dan Hine has dominated this tournament with the others trailing behind in his wake. Only Michael Rogers looked as if he could turn him over, which he did in the semi finals only to be outdone 2-1 in the final against Gallen. In the other semi final Gallen beat Will Blackmore in a close fought 2-1 match.